When this 2019 Louisville Lacrosse team can put together a full 60 minutes, they will be one of the elite teams in Division I Lacrosse. The process is still not quite there. 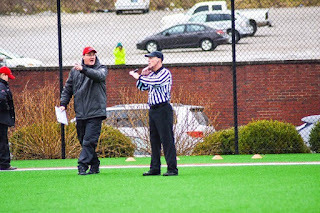 Louisville looked like much the best of the two teams for 36 minutes -- and the majority of the second half -- in yesterday's match against Vanderbilt...but the gaps in continuity and team play the rest of the way proved costly in the 9-8 overtime loss to Vanderbilt at the Louisville Lacrosse Stadium. Vanderbilt used their fast-break, all-out jail break style of offense to counter against the Cards to end the half. The visitors ran their way to six straight goals in the final 13 minutes to grab a 7-3 lead. A buzzer-beater by junior Gwyn Devin with four seconds until halftime set the tally four goals in favor of Vanderbilt. For Devin, the kamikaze pilot of the Commodores attack, it was her second goal of the match and the 'Dores had the momentum going into the break. 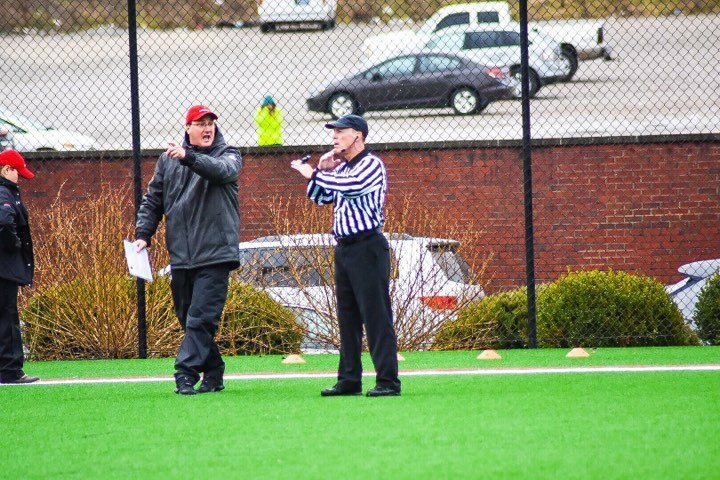 Head Louisville Lacrosse Coach Scott Teeter delivered a "stay-within system" and play as a team halftime message and the words proved to be just what the Cards needed in the final 30 minutes. After a quick Vandy score from Devin to start the second half, the Cards applied excellent defensive pressure and two quick scores by sophomore Ally Hall brought Louisville back to a three-point deficit at 8-5. 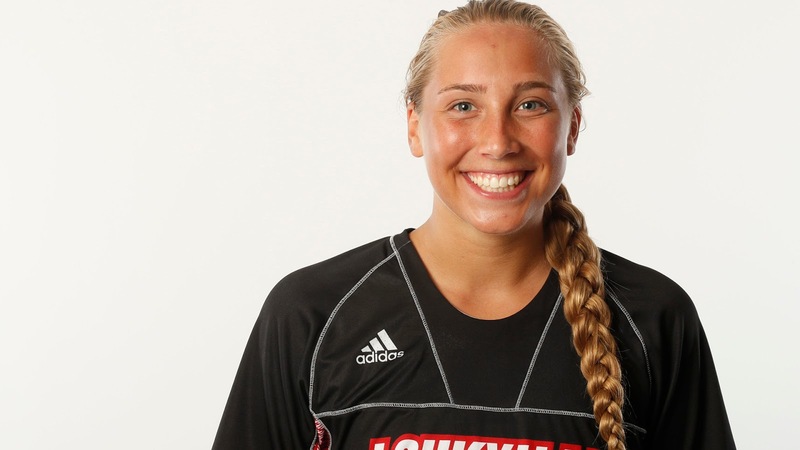 Red shirt sophomore goalie Rachel Florek and the Cards defense were slowing the Vanderbilt squad down and finding ways to keep the Commodore off the scoreboard. 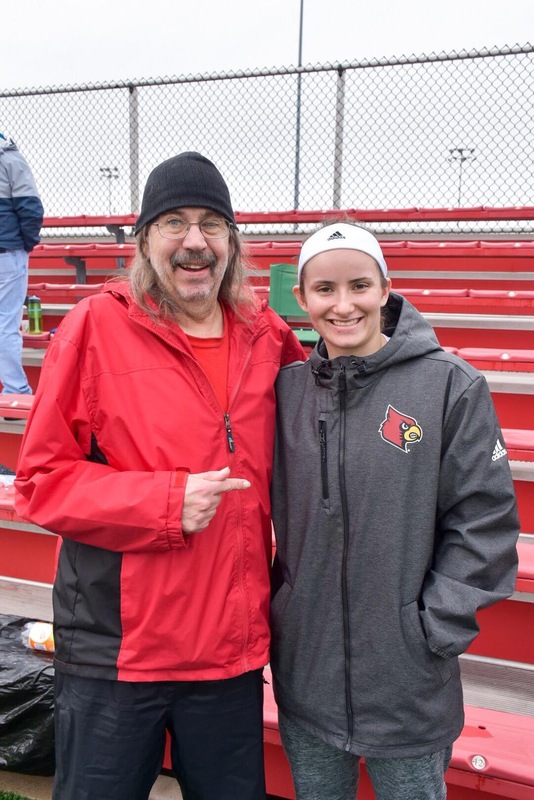 Florek's second half performance "between the pipes" was one of the most impressive I've seen "in goal" since I've been following the Teeter era at UofL. 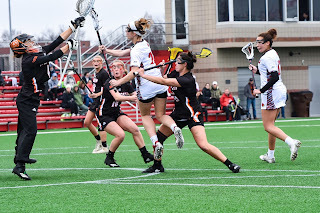 13 saves for her and the Cards were utilizing the team concept by getting scores from three different players to roar back and tie the match when sophomore Shayla Scanlan delivered her third goal of the match with 29 seconds to play on an unassisted shot to te the affair at 8-8. To overtime the two squads went. Overtime in Lacrosse is a bit different that most sports. It is a mere three minutes and whoever scores first wins. Vandy got the winning goal with four seconds left in the overtime session for the 9-8 heart-breaker. 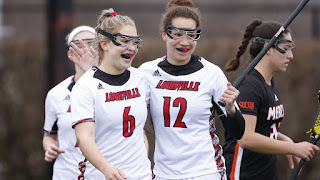 Despite the loss, we may have seen the Louisville squad take a huge step towards success in the rebuilding process Teeter and the LAX girls are undergoing. This was a poised, confident and productive Cardinal squad in the second half. The defense made the adjustments and the offense was finding out that scoring could happen when they stayed in system and passed the ball. The two game home slate ends with a 1-1 record. The Cards travel to South Bend for an Irish match-up this Saturday. Then, it's off to Butler for a Wednesday match. The Cards will need to be at their best, offensively and defensively against both. Yesterday, the team showed a lot of heart, refusal to quit the fight and some stellar performances. Let's hope it is a continuing sign of a team that is beginning to "get it" and moving forward together in the reclamation project currently being engineered by the players and staff. Rebuilding can take time, ask my adopted sister, as she goes through the rebuild from the fire that destroyed her beautiful house in Oldham County. This particular Lacrosse rebuild is underway and there will be highs and lows, bumps and smiles and peaks and valleys. 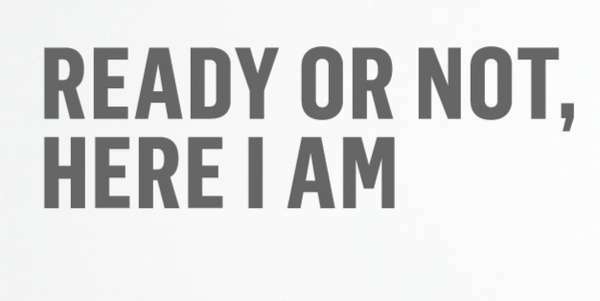 If these LAX girls and this staff can learn from this one and push forward...then the rebuild gains a welcome boost and step in the right direction. 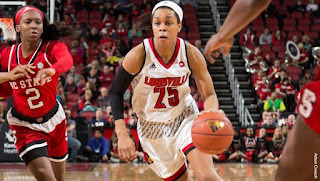 Has it really been four years since Asia Durr arrived on campus? Someone tell me I'm dreaming and she, Arica and Sam are not getting ready to play their final regular season home game in the KFC YUM! CENTER. Maybe it's my huge fondness for these three, but it is hard for me to come to the realization that their time as Cardinals is drawing to a close. 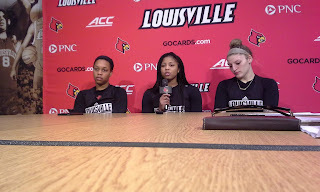 11 possible games remain for them and this 2018-19 UofL WBB squad (counting tonight, at Pitt, three potential games in the ACC Tournament and, hopefully six in the NCAA Tournament). Where has the time gone? The foe tonight is a top ten squad. 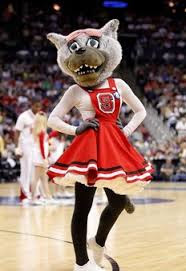 The N.C. State Wolfpack started the season 21-0 and sits at 24-3 coming into tonight's match-up. They are #10 in the nation. Projections have them as a solid #2 seed in the NCAA Tournament, so far. 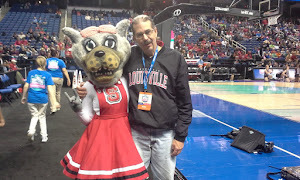 A win for Ms. Wuf's bunch would tie them with the Cards in conference standings at 12-3. 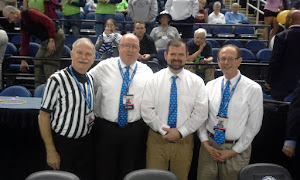 A lot on the line for both teams as we prepare to honor and celebrate these three seniors (despite what a certain TV talking sports-head blundered out -- yes...only three seniors, not four). This Wolfpack team has been average their last six games with a 3-3 record. It has been an arduous stretch for Wes Moore's squad, though. 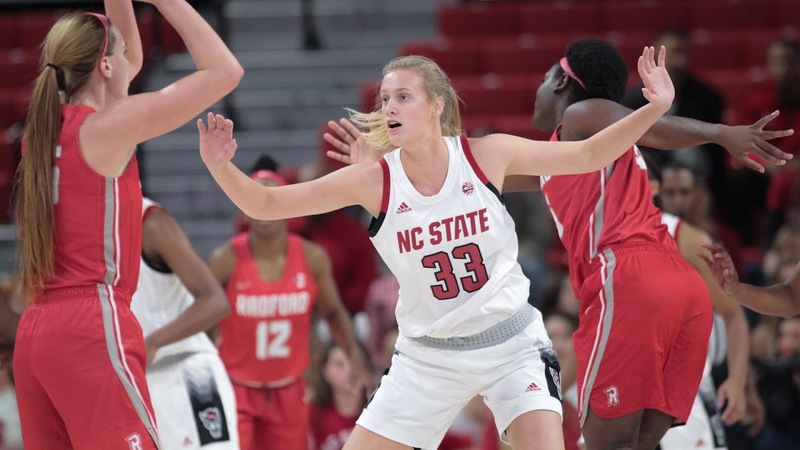 The Pack fell to a rapidly improving UNC squad in Raleigh by 13. A trip to FSU produced another loss, to the Noles in a close one 75-70. 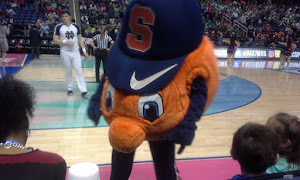 Then, it was off to Syracuse an a hard-fought 77-73 win over "Q's" bunch. Hosting Notre Dame next, the Wolfpack were punished 95-72. Wake Forest came to the NC State campus next and was dispatched of 80-46. Last out...NC State got revenge at Chapel Hill for the previous loss to UNC with a 74-69 victory. Freshman center Elissa Cunane and veteran Kiara Leslie have been the leaders of the Pack since talented Grace Hunter went down with a season ending injury after 14 games. The two combine for 30.6 points a contest and are aided in their offensive success by the heady, point-guard play of Aislinn Konig..who leads the squad with 107 assists and adds 11.4 points a game. 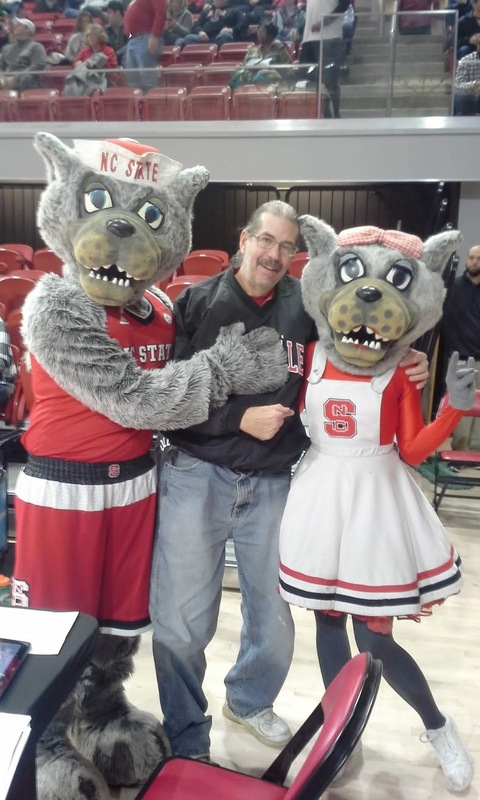 N.C. State holds foes to 58.6 points per game while averaging 72.2. They out-rebound opponents by 10 a night...a team effort, no N.C. State player averages more than 7.6 a contest. 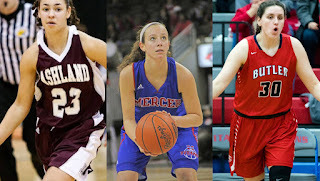 Konig and Leslie are the three-point threats...Konig good for 82 makes on the season and firing at a .412 success rate. Like the Cards, they are primarily "seven deep" with Erika Cassell, DD Rogers Kai Crutchfield and Kayla Jones augmenting the main three threats of Cunane, Leslie and Konig. Louisville has to avoid a slow start tonight, play with intensity for 40 minutes and find a way to battle on the boards with the Pack tonight. A ball-hawking defense might serve to the Cards advantage by keeping Konig from releasing the three or finding Leslie and Cunane. The motivation should be there, with Senior Night and a crowd over 11,000 + expected. Get there early, the senior introductions begin around 6:45 p.m. The Cards are 5-3 lifetime against the Wolfpack. A nervous, "grab-a-big-lead" and "hold on for dear life" 55-47 win last year in the conference regular season at Raleigh. Sonya and I were there for that one and I was honestly glad just to get out of a packed and crazy-loud Reynolds Coliseum seeing a Cards road win on New Year's Eve Day. 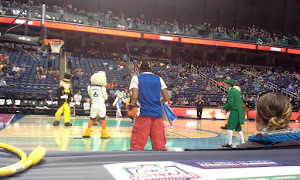 Another nail-biter in the ACC Tournament semis last year in Greensboro. 64-59. 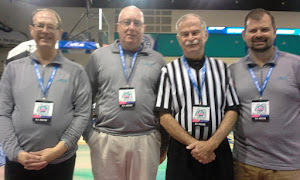 A referee contingent today that includes Eric Brewton (Jerry Abramson's favorite stripe shirt) he was one of the crew that called the Louisville vs. Notre Dame game earlier this year in South Bend. 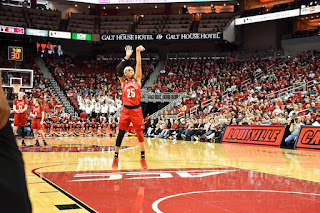 We hope Asia Durr does "Asia-Durr type things", Arica and Sam produce at what they do well and the force of "B" and Kylee rebound and score frequently. Jazmine Jones could use a stat-stuffing night. 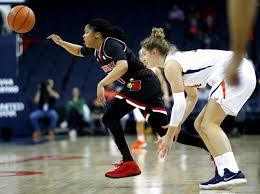 The key tonight just might be speedy Dana Evans...her disruption of opponent's defenses and play-making abilities need to be at their best tonight to assure a Cardinal win. If Kasa is cleared from concussion protocol, any minutes she can contribute will be welcome and, hopefully, effective. We think Dana is the ACC's "Sixth Player of the Year" and tonight would be a good time to mark her territory on that accolade. With the tournament seedings for the ACC still up in the air, the Cards need a convincing performance tonight to solidify their claim as potential ACC Co-Champs. Let's hope the Cards can "make it so" and "Pack up the Pack" and send them home with the "L". 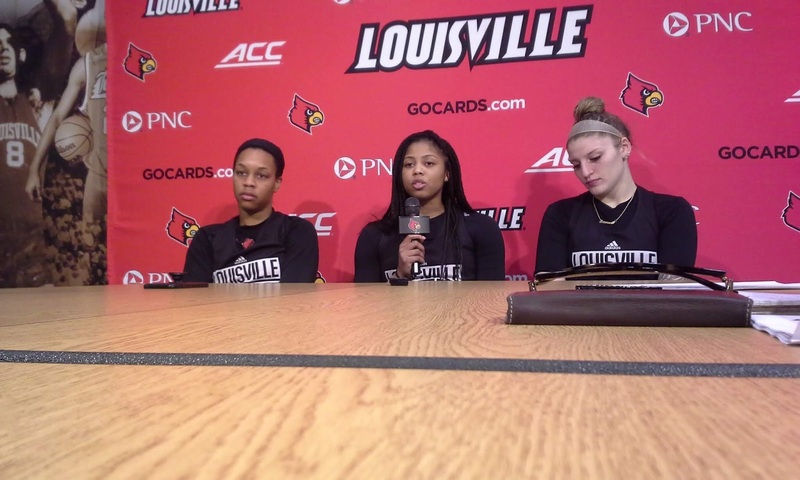 The three seniors and Walz spent nearly an hour in front of the media yesterday to primarily discuss their careers and the team. 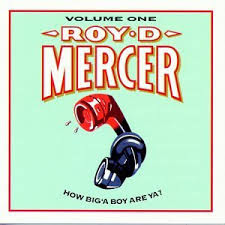 It is certainly worth listening to and there were some great revelations and stories told. You need to set aside an hour and listen to it in it's entirety. 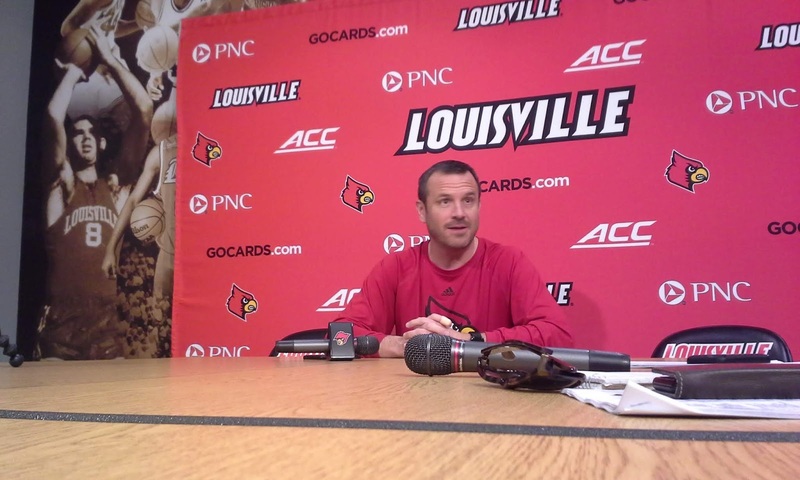 Having a rare free night I decided to venture down to Chili's in Hikes Point for the regular season finale of the Jeff Walz Radio Show last night I arrived about 5:30, a solid 90 minutes before the start of the show and it was a full house. Thankfully, a friend saved me a seat front and center. I immediately dove right into the chips and salsa, the best in town, while watching a rerun of the recent 2019 UCA Championships. Louisville, which is a part of NCA, does not participate in UCA. At the time, Kentucky had finished their routine and would later go on and win the Division 1A Championship. Nick Curran rolled in right about 6:00 to prepare the setup and get everything going. Jeff Walz, then Beth Burns, both guests on the show, followed by AJ, Al Greener, and Nick Evans all strolled in in the minutes following. The show began by talking about the Play4Kay Free Throw Challenge. Similar to years past, Louisville is way out in front in donations. Lehigh is all alone in second and everyone else is way behind. We, at CARDINAL COUPLE, are in for $2 a "make". Recently, the women's basketball officials raised $25,000 to donate to the cause as well. TV Dee, commonly seen officiating UofL games, is on the board and was a part of the process. 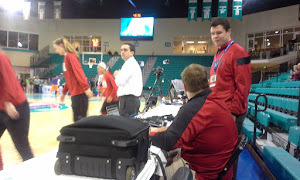 Coach Walz also mentioned that she is going to be inducted into the North Carolina Basketball Hall of Fame. 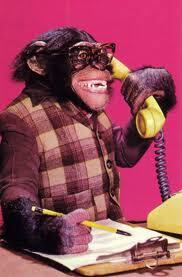 He went on to joke saying that he told her that officials will have to donate 45 for each missed call in the future. Q: Status of Mykasa Robinson? A: Cleared for limited practice and hopefully will be fully cleared by tonight. The concussion was actually believed to have happened during the first half of the Virginia game on Feb. 21st., but she did not feel its effects until the third quarter when she told the coaching staff and trainers. Q: Memorable thing about the seniors? A: They overcame obstacles such as rough freshmen seasons or injuries to become stars by their senior year. No career is a straight line climb. 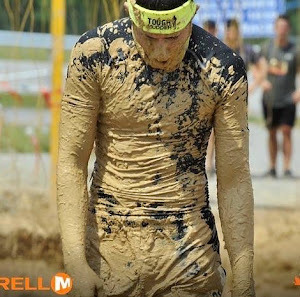 There will be bumps and plateaus along the way. Q: How to handle NC State's post players? A: "I'll tell you about 9:00 Thursday night." 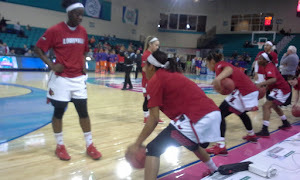 Never underestimate UofL post players, as teams have to find ways to game plan and guard against Sam, Kylee, and Bionca, three great players. It's a two-way straight on teams game planning. 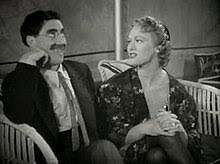 Q: Will we see Lucy and Lola in the presser Thursday night? A: No. Walz said he might bring them to the first round in game during a moment of forgetfulness. Upon remembering, Walz cracked up and informed us that we will not get to see the duo this year. 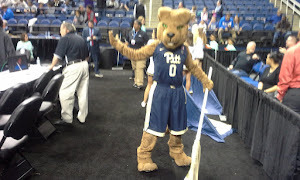 Q: Plan for the first round of the NCAA Tournament? 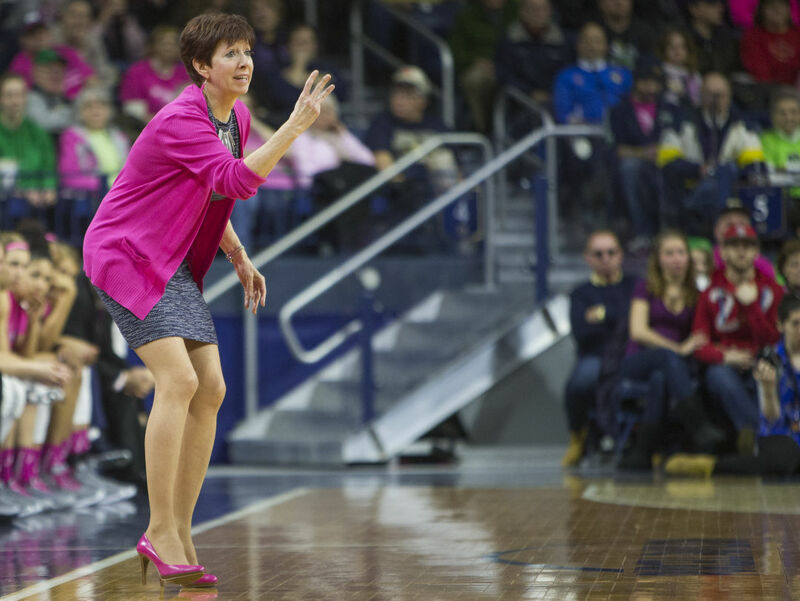 A: With Walz not being allowed inside of the arena at all (NCAA rule) Steph Norman will take over for the game. Walz will be somewhere TBD still but wants to set up a watch party with fans. Perhaps Bobblehead Jeff will claim a seat along the team bench for the game. The radio show, which lasts an hour, is an opportunity to interact with members of the coaching staff and ask questions they normally don't get to. Whether you choose to arrive early and eat or just show up for the show itself I guarantee you'll have a great time. As a reminder, if 12,900 (or more) fans show up for the game against #10 NC State Thursday night then UofL will average 10,000 fans per home game this season. 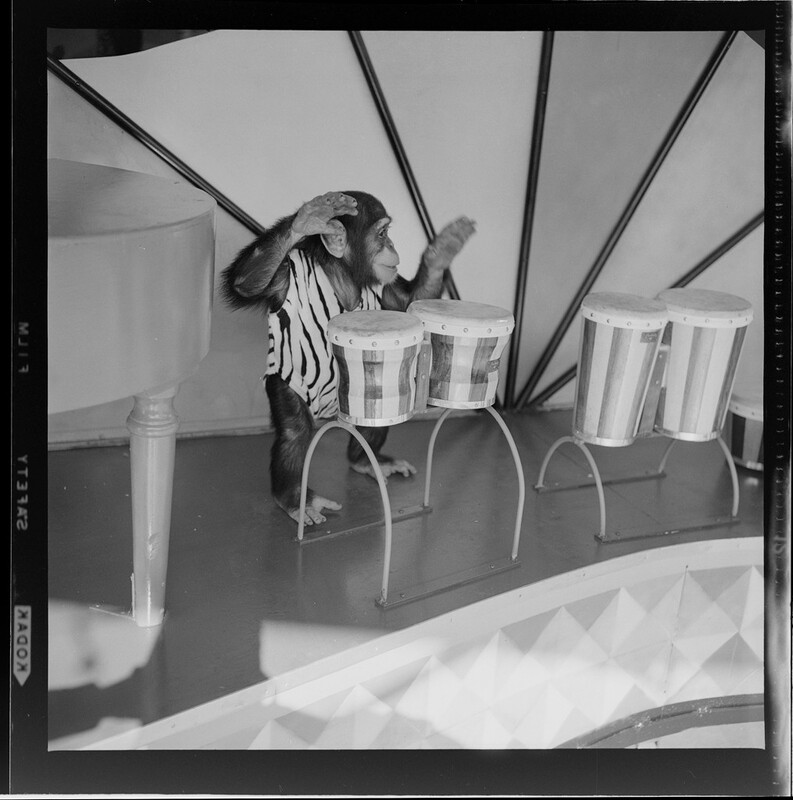 As of last night about 9,000 tickets had been sold. Needing about another 4,000 people in attendance to reach the goal please bring as many friends and family to the game as possible! In what appears to be a case of expected freezing weather the Cardinal Classic schedule has changed quite drastically. Louisville will play two games on Friday and two on Saturday. The Cards are 7-6 on he young season and step on Ulmer Stadium turf for the first time to play an actual game. 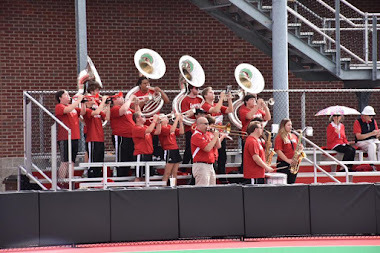 As always, Ulmer Stadium is free admission so bring some blankets and head on out this weekend. 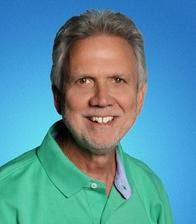 Paulie, Worldwide, and I will do our best to cover the games as much as possible. Middle of the week, middle of the day, expect more to come. Lacrosse will host Vanderbilt at 1:00 at the Louisville Lacrosse Stadium. 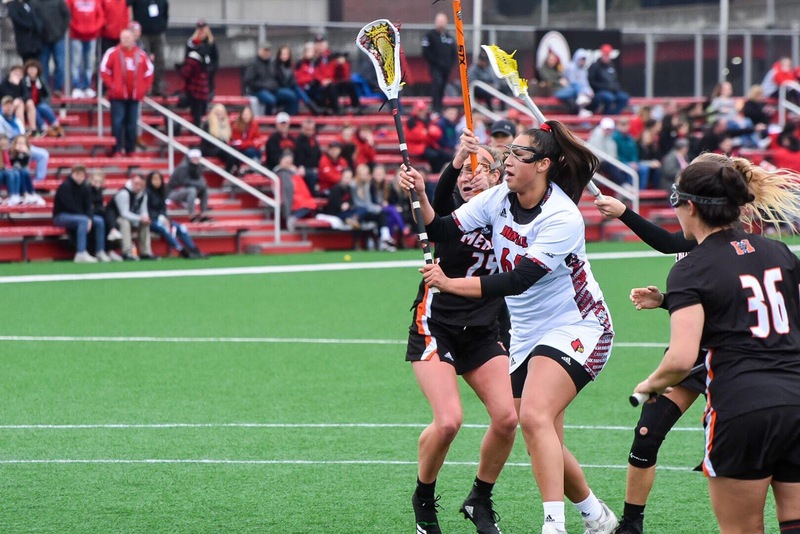 Lacrosse will continue to play early afternoon games during the week for..
UofL is 1-3 entering the match after taking down Mercer 20-2 in their home opener Saturday. The Commodores are undefeated at 3-0 and are averaging 18 goals per game. They're average margin of victory is 10.3 goals, a large margin. The Cards hold the series 7-2 and 4-0 at the LLS, but have their work cut out for them this time. 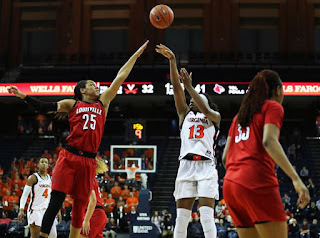 The University of Louisville women's basketball team lands at #3 in the AP poll released Monday -- no first place votes, all 28 of those went to Baylor -- but the Cards are just behind Connecticut and ahead of Notre Dame. Mississippi State rounds out the top five and Oregon takes the biggest drop...from #2 to #6...after two straight losses and the injury to star Ruthy Hebard. The ACC leads the way with six schools in the top 25. 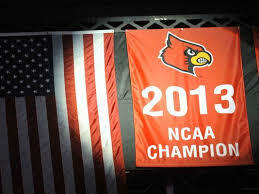 (Louisville, Notre Dame, Miami, NC State, Florida State and Syracuse). The PAC 12 has five. 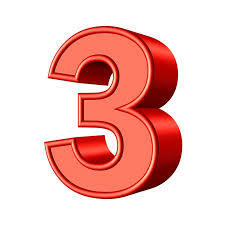 Three conferences have three each and five conferences one each. Our neighbors to the east, UK are now at #11. Bracketology still has the Cards going to Chicago as the #1 seed after two games in Louisville. Currently, the guess is Stanford, Maryland and Iowa State fill out the top four seeds in that region and UK is a #5 seed in the Chicago bracket. Louisville gets a huge test Thursday night when N.C. State rolls into town. The Wolfpack have a 24-3 record, 11-3 in the ACC and are projected to be the #2 seed in the Albany Region...where UConn holds the #1 seed as of Monday. There is a lot of consternation among Notre Dame fans that they are ranked behind the Cards, despite winning the regular season match up against UofL and that the Irish are not picked for Chicago. Charlie Creme sees them as the #1 seed in Portland. Notre Dame certainly added fuel to that "we belong in Chicago" argument with a dismantling of #17 Syracuse, at Syracuse, last night 98-68. Just two games for Louisville before the ACC Tournament. After NC State, the Cards head to Pittsburgh to face the Panthers on Sunday, March 3rd. The Cards are pretty much assured of getting two days off in Greensboro for the tournament as a top four seed before taking the court on Friday. 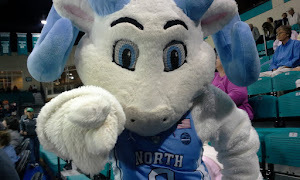 Nine days before the teams converge on the Greensboro Coliseum. With Notre Dame ending their conference slate hosting Virginia, it seems likely that they'll get the #1 seed in the ACC Tournament. All Louisville has to do is "win out" against the Wolfpack and Pitt to claim the #2 seed and a share of the conference championship with a 14-2 conference mark. Notre Dame gets the tiebreaker. C'mon Virginia! Pull the upset! If the season ended yesterday, N.C. State and Miami would be the other two teams getting the advancement to Friday action. Those two meet on Sunday, March 3rd., in Raleigh, to end their ACC seasons and to decide who gets the #3 seed and possibly the #4 seed. With FSU back in fifth place at 9-5, the Noles have to win out and then hope either N.C. State or Miami lose their final two to climb up to a four seed. To their credit, FSU defeated N.C. State and split with Miami in the regular season. The wolves are a very serious and tough test for the Cards on Senior Night. We're winding down and approaching "the second season". It gets very "real" from here on out. Time to compete for what you dream of, Cards. 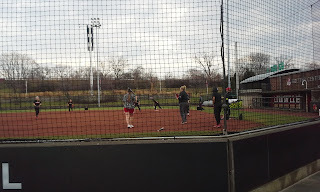 An early (11:30 a.m.) start for Holly Aprile's sluggers yesterday in the rain-altered Tennessee Classic. 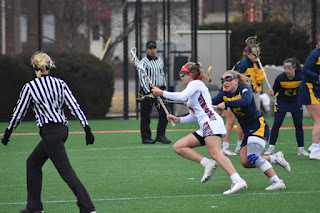 The Cards started against Bradley, who they downed on Sunday, and found continued success with a 6-0 whitewash of the Braves. Megan Hensley tossing the four-hit, complete game shutout for the Ulmer Stadium bunch. A scoreless affair for four innings but UofL broke loose for two unearned runs on three Braves errors and a hit batter. 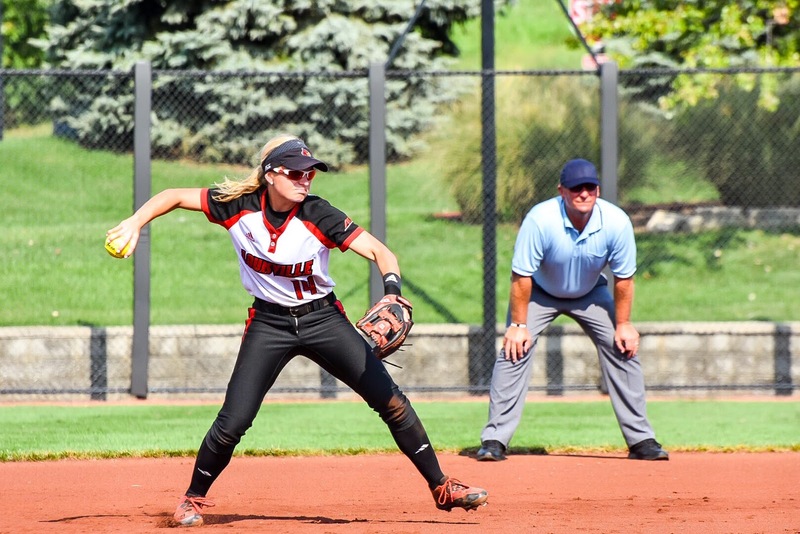 Pinch runner Jordyn Wolfe and Charley Bulter touched the plate for UofL. The Cards put four more runs up in the sixth with two walks, two hits and a couple of stolen bases. The "Butler" did it again with a two-RBI triple. 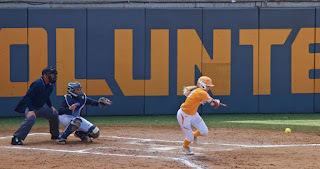 In game two, UofL faced the hosting #8 Vols. 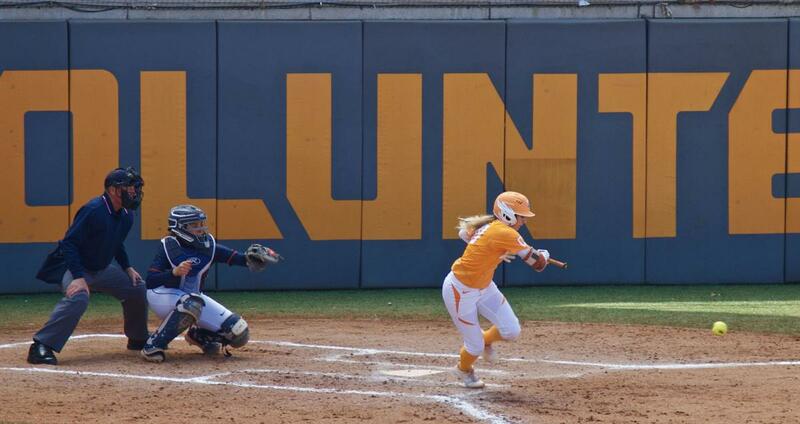 Early on, it looked like it might be a Tennessee rout, as they jumped to a 5-0 lead after five innings. 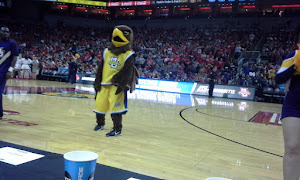 Louisville had just begun to fight, though. In the top of the sixth, A Cardinal walk and single set the scene for a three-RBI home run from freshman Taylor Roby. After holding the Vols scoreless in the bottom of the sixth, Louisville threatened again in the top of the seventh. The Cards got a single, double and intentional walk to load the bases with two outs. Unfortunately, the Cards could not push any of the runners home. Louisville returns home for their first game in Ulmer on Friday, March 1st., in the Cardinal Classic. The Cards are scheduled to face Indiana State, IUPUI and Missouri over three days. Friday has UofL against Indiana State and Missouri. Saturday action involves the Cards against Missouri and IUPUI and they action ends Sunday against IUPUI. Let's hope the weather cooperates. Current forecasting shows and "O.K." Friday but dropping temperatures on Saturday and a possible chance of snow showers on Sunday. Let's hope the weather guys are wrong in this prognostication. Defense got the job done and Asia Durr added another 20+ point game to her resume yesterday in the 87-51 win for Louisville women's basketball yesterday in the KFC YUM! Center in front of 11132 fans. The Cards (25-2, 12-2) knew that BC was prone to giving up points, the Eagles (14-14, 3-12) had surrendered over ninety in eight of their last ten games. They had also lost nine of those ten games. 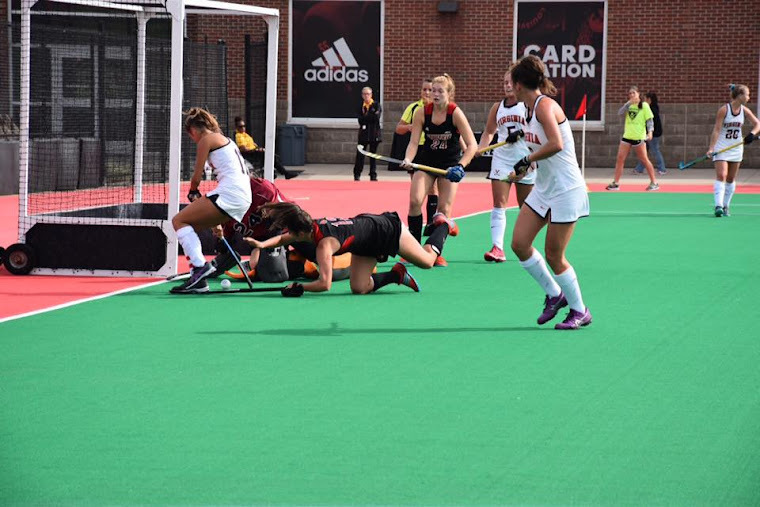 Although Louisville fell three points short of the ninety mark, they took advantage of a less-than-stellar B.C. 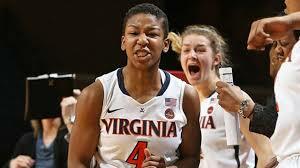 defense to shoot 51.7%, get 32 bench points and Durr complied her 23 points in just 27 minutes of court time. The Cards have been prone to slow starts in the past but this one was pretty much over early. 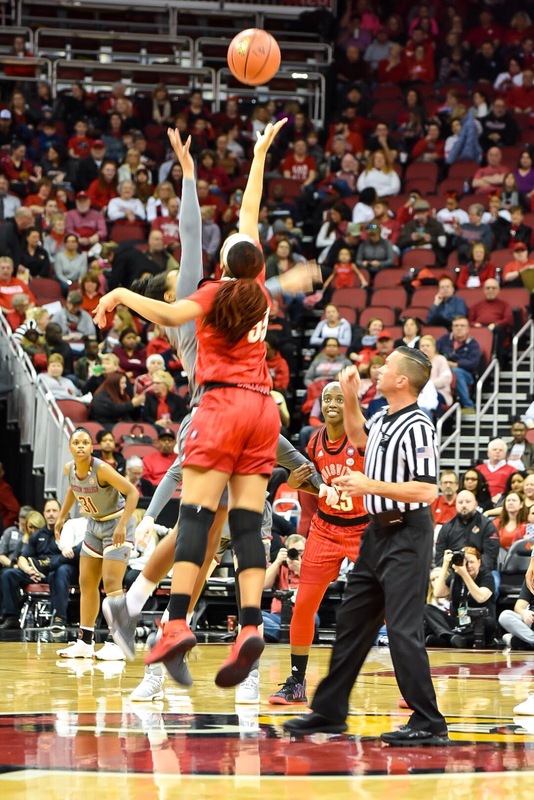 After Arica Carter's jumper made it 12-3 with 6:38 left in the first quarter, the Cards pushed that out to a 23-11 lead at the first quarter's end. The "A" Team (Arica and Asia) had 13 of those and the rout was on. Coach Walz got to experiment with a lot of different combinations in the 40 minutes (no one played more than 27 minutes) but the question that started being posed to me early on was "Where is Mykasa Robinson?" I had a feeling it might be part of the post-concussion protocol players go through (no bright lights or loud noises) but didn't get the official confirmation on the absence reason for the talented freshman until halftime. Coach Walz went into a bit more detail in his presser, which you can hear below. With Kasa sitting out, it provided freshmen Lindsey Duvall and Seygan Robins extended minutes and valuable court-time experience. Both met the challenge, Duvall totalling nine points, hitting two threes, getting a steal and a rebound. Her free throw shooting was off, just 1-4, but as she explained to me post-game, she just didn't get her legs into the free throws and vowed to solve that with extra practice and attention to detail. Robins added three points but produced four assists in her 13 minutes. She looked comfortable out there and boh should be key influences on the 2019-20 Louisville WBB squad. Louisville won each quarter, won the rebounding and scoring in the paint battles and forced 24 turnovers. 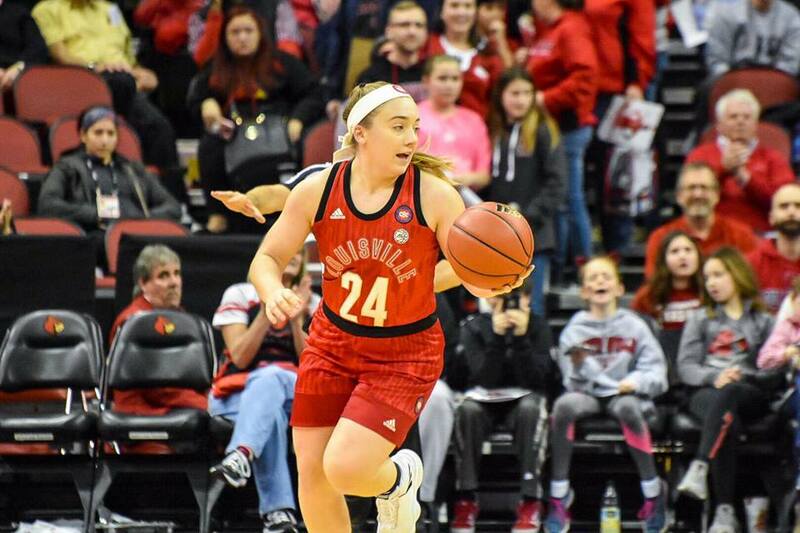 The Cards got 11 steals and Kylee Shook continued to impress with 14 points on 6-7 shooting -- nailing both "three" attempts and grabbing seven rebounds. She told Coach Walz she wants to "be pushed" by the coaching staff. Looks like she got a big shove by them in preparing for this one. 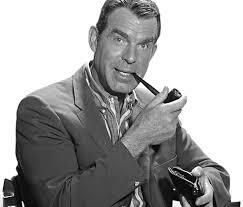 The Boston bunch was aggressive, no doubt. 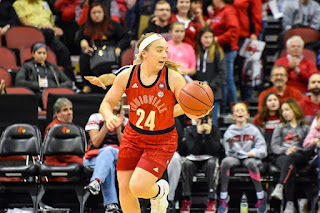 They committed 23 fouls, giving the Cards 27 free throw chances and forward Taylor Soule took things way-too-seriously by gathering two technical fouls and a exit from the action. It got chippy at the end of the first half when Soule and Sam Fuehring got entangled on a rebounding/possession attempt and early in the fourth when Soule got aggressive and menacing on tiny Dana Evans after she fouled Georgia Pineau...which got Soule tossed. Asia Durr felt the wrath as well, getting tackled out-of-boards when she was going for a pass by the scorers table. This time the culprit was Sydney Lowery and a hush fell over he crowd, wondering if wither would get up from the mid-air collision and subsequent tumble to the hardwood. Fortunately, both did and Asia shrugged it off in her post-game comments, saying it was just "part of the game". 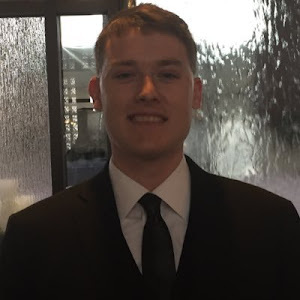 If my Chicago Bears are looking for a safety in 2019-20 that can break up passes, they should watch some game film on Lowery, maybe. Moving the ball, good movement off the ball, shooting the ball well...lock down defense...all things that lead to wins. And, that's what the Cards did yesterday -- in a convincing fashion. 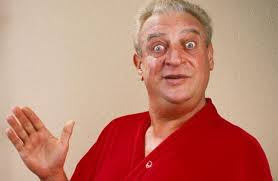 Post game remarks below, or the "Steve and Paulie" show...with me and Bittenbender asking the questions. FREE THROWS -- Louisville went 19-27 from the line for 70.4%. For me that's worthy of a capital letter. Asia 10-13. We won't elaborate on Duvall...CAPITAL "F"
REBOUNDING -- Cards win the rebounding battle 38-27. Boston College was 12th out of 15 teams in the ACC in rebounding. Shook, Jones and Fuehring with seven each. Yes, that's a CAPITAL 'R' IN MY BOOK. EFFORT/EXECUTION -- Only 14 turnovers, 16 assists and over 50% shooting is what we like to see. The Cards also won the fast break points battle (13-6) and got 27 points off turnovers. Let's keep the capital letters rolling. CAPITAL "E". DEFENSE -- The Cards forced 24 turnovers, made 11 steals, held BC to 19 points below their average and 41% shooting in the 36-point win. I loved the defense yesterday and let's close it out with a CAPITAL "D". 24-3 N.C. State comes to town Thursday night. 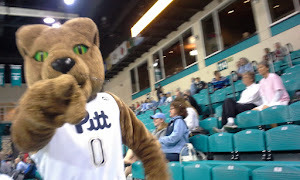 They are tied for third place in the ACC with Miami and a 11-3 conference record. It's Senior Night and the Cards would love a huge crowd to come out and say "Thank You" to Asia, Arica and Sam in their final regular season home game. This will be a tough one. NC State's losses have been to North Carolina (51-64), at Florida State (70-75) and Notre Dame (73-95). They won't be an "easy out" by any means. They need to get a win in their final two to secure a top 4 ranking for the ACC Tournament and avoid playing on Thursday. With Louisville and Miami being their final two, they have their work cut out for them. They finally got on the field in rain-plagued Knoxville for the Tennessee Classic and the Cards made the most of the chance, going 2-2 yesterday. Danielle Watson went the distance in the first game, a 5-3 win over Kansas, and recorded eight strike-outs in the process. 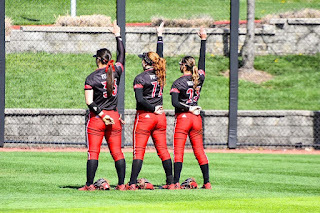 A three-run first inning for UofL got things started in the right direction...Sidney Melton's triple and Rebecca Chung's home run the major blows delivered to the Jayhawks for the early 3-0 lead. Maddy Newman and Melton scored in the fifth to push it to 5-0 and then weathered a three-run fence clearer in the bottom of the fifth from Madison Sykes (no relation to me that I know of). In Game Two, Louisville got home runs from Megan Hensley, Kyra Snyder and Charley Butler...and freshman Taylor Roby got the win in the circle with the save going to Hensley. 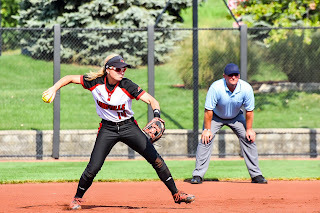 Megan had four RBI's in the contest. At 6-5 on the season, the Cards go back to the Vols field for a 11:30 a.m. rematch today against Bradley. They'll conclude their Tennessee trip against the Vols at (appox.) 4:30 p.m.
With the winter and spring sports overlap, there's a lot going on, so let's dive right in. OK, since we're diving in, let's start with Swimming and Diving. competition in 3rd place overall. NC State took the overall title, with Virginia close behind in the points. Mallory Comerford finished the overall event with 3 golds and set a meet record in the 100 Free of 46.57 (again, reminder that the NCAA uses yards, not meters, so these times are not directly comparable to international events). Morgan Friesen got a bronze in the 200 breaststroke (2:09.05). Grace Oglesby set a meet record in the 200 fly (1:52.81), with Alena Krauss getting on the podium with her for the bronze (1:55.06). Lainey Visscher, Mallory Comerford, Casey Fanz, and Arina Openysheva teamed up to win the 400 Free Relay. Comerford finished it off with a come from behind from 7th place to 1st for the win with a 46.68 split. The NCAA championships will be in Austin, TX on March 20th through 24th. While we're talking about water sports...well, softball isn't supposed to be one of them. Alas, the weather yesterday in Knoxville means the softball team would've needed flippers and snorkels to play. Those games were cancelled, but they are playing today, with the first game, against Kansas, already underway, with the Cards leading 3-0 in the 3rd inning at the time of this writing. Highlight of the game so far is a 2-run shot by Rebecca Chung over the center-field fence. Rebecca Watson is in the circle for the start. 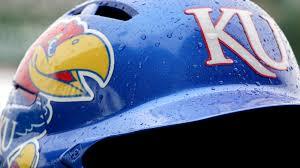 They should be playing another game later today, scheduled for a 4:30 start time against Bradley. As always with these multi-game softball events, there's a chance that later games could be delayed if earlier games run long. No video listed for our games, though the home standing Volunteers will have their streams on SEC Network+ (the same ESPN streaming that the ACC Network Extra is on) at 2 p.m. against our conference-mates Virginia. 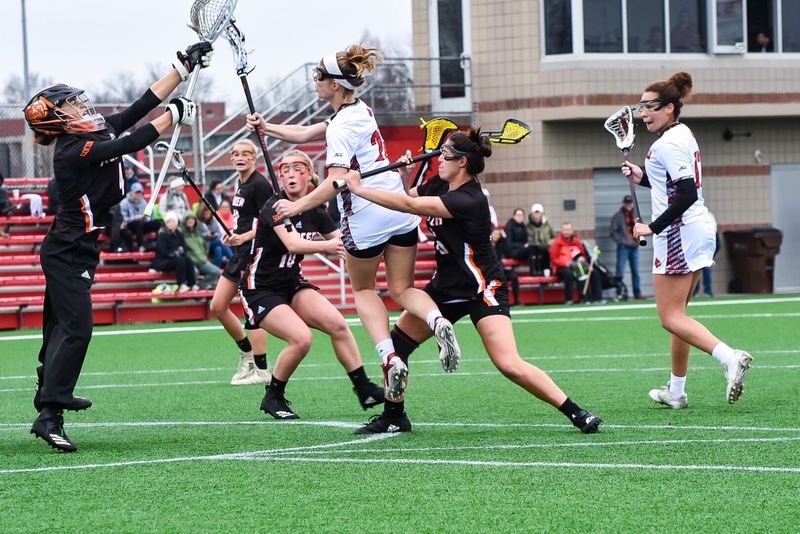 Lacrosse got a confidence building win over Mercer yesterday with the 20-2 win at the Louisville Lacrosse Stadium in their home opener. Shayla Scanlan scoring one of her 5. Top scorers in this one were Tessa Chad and Shayla Scanlan, each with 5. Caroline Blalock got a hat trick, Ally Hall and Alex McNicholas each got a pair, and Brenna Shanahan, Kayla Marshall, and Hannah Morris each contributed a goal. Most of the goalkeeping duties were by Rachel Florek, with Lexia Ball contributing about 9 minutes. Florek was credited with 3 saves. Not familiar with the name Shayla Scanlan? 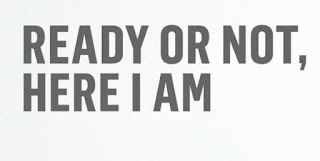 Neither was I. She is a sophomore with the team and did score 5 goals last year. She is from Angola, NY and is also believed to be the first female member of the Seneca nation to sign to play Division I NCAA athletics. 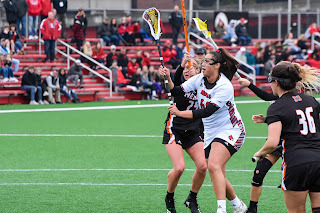 The Cards will be in action again at the Louisville Lacrosse Stadium Wednesday at 1pm against Vanderbilt. The plan for concessions at the LLS this year are to have the same food truck there for every game. Yesterday, I got a grilled cheese sandwich with bacon, chips, and a drink from them for $11, and it was quite nice. I can definitely recommend. Lindsey Duvall supporting Lacrosse vs Mercer. Pictured with some knucklehead named Paulie. WBB is in action today at 2p.m. at the KFC Yum! Center against a near the bottom of the standings Boston College. I do continue to stand by my statement that BC is playing better this year than they have in the past. They're 3-11 in conference, 14-13 overall, so they aren't expected to seriously threaten the Cards today, but like every game in the ACC, if you don't show up and take it seriously, you could be in for a bad time. It's Girl Scout Day, so be prepared. 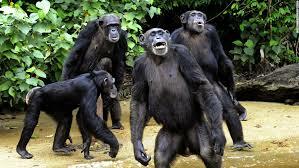 Rumors out there that one of B.C. 's leaders will sit out because of the concussion protocol rule. The rumor came from Jared Anderson, though, who -- in the past -- has made some predictions of note. Like either Virginia or Boston College winning the ACC WBB Tournament. You've got the typical ACC Network Extra available for this one. Cortnee, Don and Sara. Excellence right there. Finally, Tennis hosts Clemson at the Bass-Rudd Tennis Center. I'm assuming our regular commenter "Clemson Arthur" won't be making the trip in for this one, which seems a little bit of a shame since Bass-Rudd is on Arthur Street, here in Louisville. Jared has indicated he'll stop by to take a few photos of W. Tennis before heading to the YUM! The Cards are looking to bounce back from a tough 6-1 loss against Syracuse. The four knuckleheads were all in the studio yesterday at WCHQ, and I think it was a good show. Alas, the streaming system didn't seem to be working up to par, so the Youtube recording of it is...well, it's basically unlistenable. Sorry about that, folks. 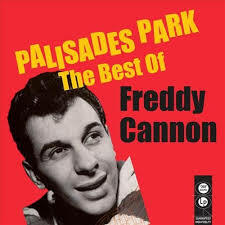 You're missing a great Paulie rant. Men's basketball wasn't the only team to find themselves outmatched against Syracuse this week as the women's tennis team took on the 25th ranked Orange at Bass Rudd yesterday. Louisville found themselves tied after losing the doubles point and winning the first singles match to finish, but that singles match would wind up being their only victory. The Cards ultimately fell 6-1, though they did have multiple matches go to tie breaking sets. 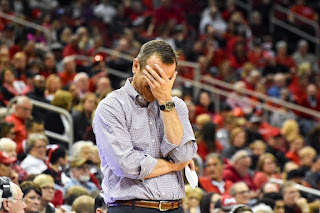 Louisville played close for most of the competition, with head coach Mark Beckham saying that it came down to losing too many deuce points and not putting score pressure on the opponent. Raven Neely was the only Cardinal to be victorious and was part of the doubles team that led 5-2 before their game was rendered moot. The overall loss drops Louisville to 9-3 and is their third straight loss. The Cards are surely frustrated, but there is still plenty of time for them to turn it around, as they still have 12 matchups on the schedule. Louisville hosts Clemson tomorrow at Noon before heading on the road for a week's worth of matches. Hopefully they'll be able to right the ship and get back to the winning ways they saw in the non-conference schedule. Due to inclement weather in Knoxville, Louisville's first game of the Tennessee Classic has been pushed to the afternoon. The Cards will now take on Kansas at 2:30 instead of the previously scheduled 9:30. As of now, they are still scheduled to face Bradley once today and once tomorrow, but I feel as though there is a good chance that it becomes a Sunday double header for the Cardinals and Braves. 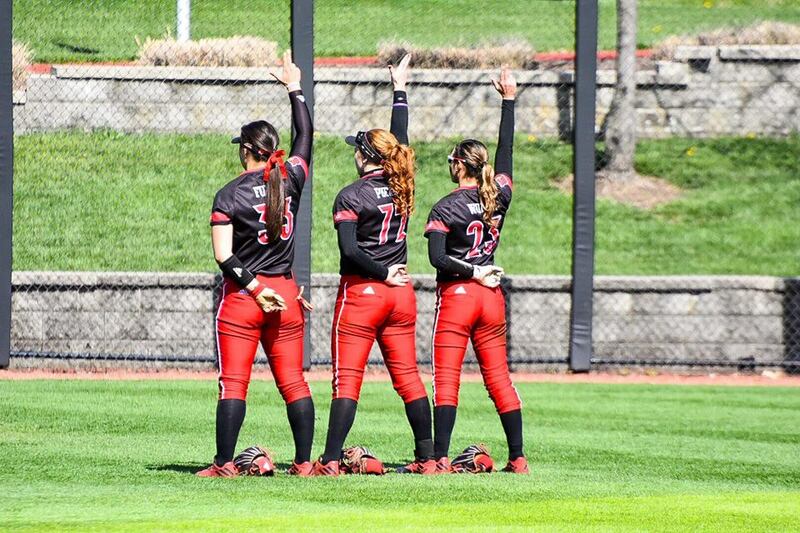 Keep up with Louisville Softball's twitter page for news about additional potential reschedules and for score updates. EDITOR NOTE: ALL Softball cancelled today in Knoxville. They'll try to resume Sunday. 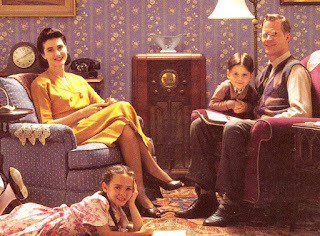 For the first time in awhile, the four knuckleheads are back in the studio together for the Cardinal Couple Radio Hour. 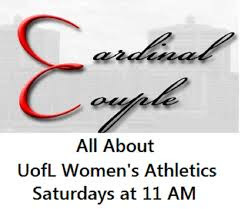 We'll have plenty to talk about as we recap the week in Louisville women's athletics, including Louisville WBBs second loss of the year and their Jekyll and Hyde follow-up performance. 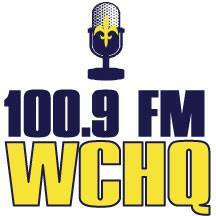 Tune in to WCHQ at 11AM via 100.9 FM, wchq.com, the WCHQ App (which has gotten a big update), or via their YouTube channel. 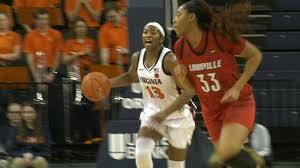 Despite trailing at halftime Louisville used a big second half to roll past Virginia, 71-49. Dana Evans led the Cards with 13 points, although five Cards were in the double-digits for points. Evans also finished with a team-high six assists. 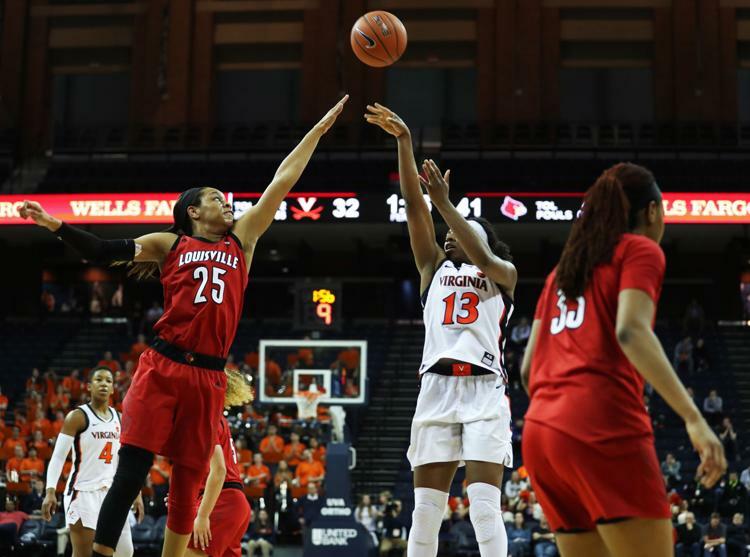 Louisville was down three at halftime but outscored the Cavaliers 46-21 in the second half for a blowout victory. Asia Durr scored 12 points with most of her damage coming in the second half. Sam Fuehring (or Firing, if you heard the ACCNE broadcast) went for 11 points and eight rebounds. Kylee Shook and Bionca Dunham each added 10 points. Dunham joined Mykasa Robinson with five rebounds apiece. 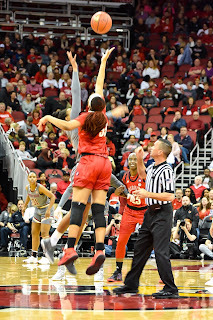 The two teams were tied at 14 apiece at the end of the first quarter and Asia Durr had a goose egg in the points column. Bionca Dunham scored early for the Cards and Dana Evans finished out the quarter as the duo contributed most of the points in the period. 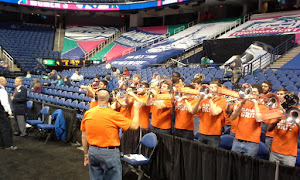 The Wahoos took the second quarter 14-11 and their efforts resulted in a 28-25 halftime lead. The Cards took three minutes into the period to score and went on a four minute scoring drought later on...allowing the Hoos to go up by 10 at one point. Luckily, Virginia struggled equally as much neat the end of the half because of the UofL defense and the score remained close going into the break. Louisville looked like a new team coming out of the locker room at halftime. The won the third quarter 23-9. A 10-0 run started the quarter for Louisville and they never surrendered the lead after. Jaz Jones and Sam Fuehring led the charge in the period and Louisville's three-pointers began to fall. A 23-12 fourth quarter sealed the deal in the win. Five three-pointers and an old-fashioned three-point play was the theme for the final period. It was part of a second half where the Cards shot 63.6% from three-point range. A win that took awhile to develop but was eventually worth the wait. Hats off to a Virginia team that threw a scare into #4 for 20 minutes last night. Free Throws- Louisville shot 7-9 from the line, all in the second half. The 77.8% is enough to earn a"F". Rebounds- Virginia won the overall rebounding battle 38-27, 24-11 in the first half. 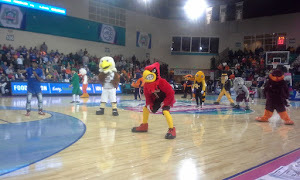 The Cards won the second half rebounds 16-14. The Cards got four second chance points, as opposed to UVA's 15 on the night. No letter here. Effort/Efficiency- The bench provided a spark with 25 points and 32 points came in the paint. Of the Cavaliers' 18 turnovers Louisville scored 20 points. They also only turned the ball over six times on the night, three in each half. The Cards shot 45% from the field and 37% from downtown. Of the 27 made buckets 18 were assisted. There are some really nice numbers in there, including many of those getting a big boost in the second half and well deserving of a capital "E". Defense- At halftime, it appeared that Virginia was on the verge of scoring close to 60. They wound up being held under 50. The Cavaliers shot just below 39% from the field and went 3-10 from three-point range. UofL forced 18 turnovers on the game including 11 steals that helped lead to 12 fast break points. The second half turned what would have been a lowercase letter into a capital "D". F-_-E-D for a score of 75%, not too shabby, but could be better. The rebounding was rather disappointing. Louisville's record improves to 24-2 and they are now 11-2 in the conference and sitting at a 2-seed in the ACC Tournament if it were to begin today. Their 1-seed for the NCAA Tournament should remain intact. In other women's basketball news around the country there were a few games worth mentioning. Georgia Tech put a thumping on Clemson 75-53. Tech is trying to play their way into NCAA Tournament position and may have put Clemson on that NCAA fence with their win. #16 Kentucky went to #13 South Carolina and pulled off a win 65-57. Virginia Tech earned their first home ACC victory by upsetting #14 Miami 73-65. #8 Maryland managed to snag a win at home in the final seconds against Minnesota 71-69. Track and field continues their trip in Greensboro in the ACC Championships. Women's swimming and diving continues their stint in the ACC Championships and are coming off an incredible Day Two! The big highlight was a first place and new school record in the 500m freestyle by Mallory Comerford. We'll report more on this following the conclusion of the multi-day event. 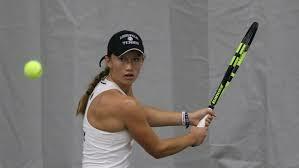 Women's tennis has a big home match against Syracuse at 4:00 p.m. Baseball will have a double-header against Brown starting at 2:00 p.m. The second game takes the place of the originally-scheduled Saturday game. Track and field continues competing in the ACC Championships. Women's swimming and diving also continues the ACC Championships. Men;s golf heads to Tallahassee for the FSU Seminole Intercollegiate. 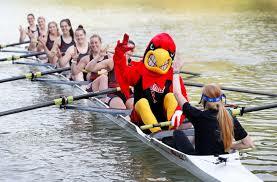 Rowing has a scrimmage in Orlando against Tennessee and UCF. 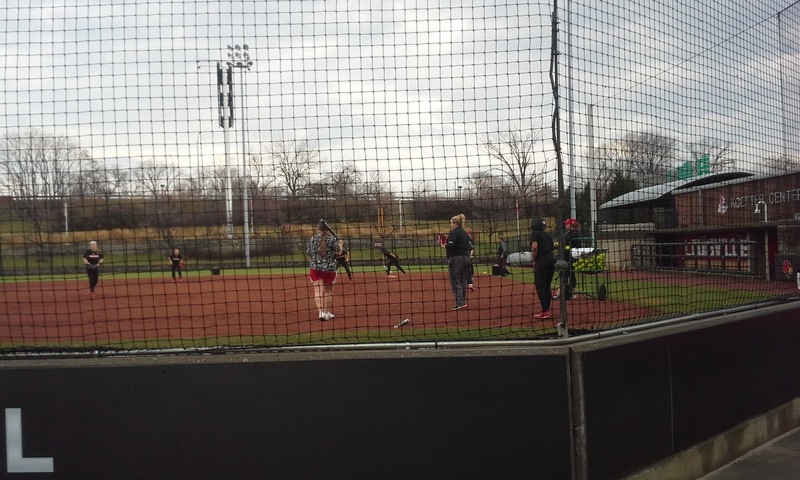 Softball will play two games in the Tennessee Classic, facing Kansas at 9:30 a.m., and Bradley at 2:30 p.m.
Lacrosse has a noon game against Mercer for their home opener. Paulie and I will attempt to venture that way following the conclusion of the Cardinal Couple Radio Hour, weather pending. Men's basketball has a noon tip-off against a projected 1-seeded Virginia Cavaliers. Remember last year's... er... last second loss? Men's golf continues their event in warm, sunny Tallahassee. 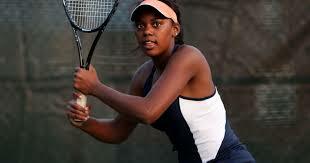 Women's tennis faces Clemson at noon, which I will try to make the first few minutes of. Women's basketball returns home to take on Boston College at 2:00 p.m. It's their final home Sunday game and leaves one home game remaining after this. Softball will take on Bradley for a second time in Knoxville at 5:00 p.m. 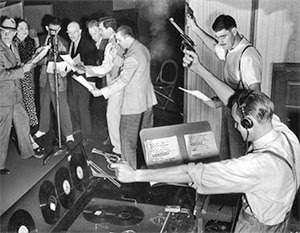 This evening, I will accompany my colleagues in the semi-professional community ensemble I play in for a recording session. We are applying to play at the prestigious Midwest Clinic held in Chicago every December. It is one of the "don't-miss" events for musicians worldwide and features guests from all 50 states and over 30 countries. We will be one of over a thousand ensembles auditioning for one of approximately 30 spots. Please wish us the best of luck and fingers crossed we get accepted! A busy Wednesday for Paulie, with interviews on the Belknap campus with Lacrosse head coach Scott Teeter and softball coach Holly Aprile. The home opener for LouLax is Saturday, a noon start against Mercer and softball travels to Knoxville for five games over three days in the Tennessee Classic. I began my day on campus in the Lacrosse offices talking with Scott Teeter. 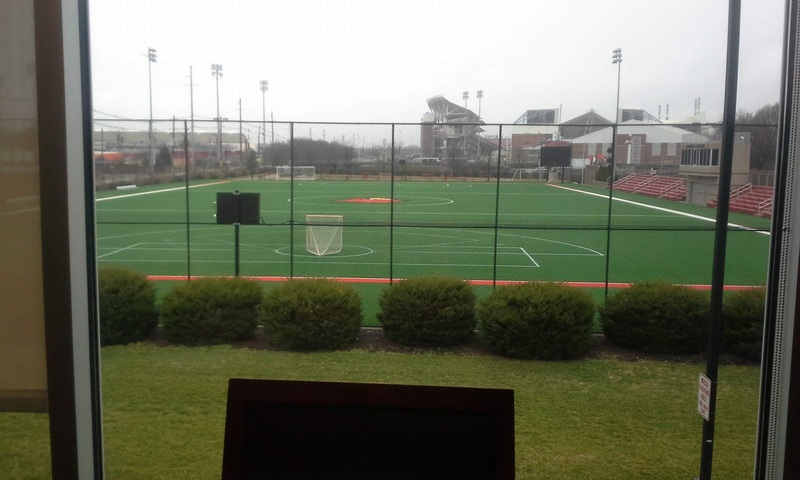 His office, on the second floor in the southwest corner of the Planet Fitness Kueber Center affords a beautiful view of the Louisville Lacrosse Stadium. After meeting with Lacrosse S.I.D. Nick Evans on the first floor, we proceeded to the office on the second floor. We "cut through" the women's basketball lobby/greeting area en route to Lacrosse and after greeting Kate Tucker, the WBB Director of Operations, we entered the offices to talk with Scott. 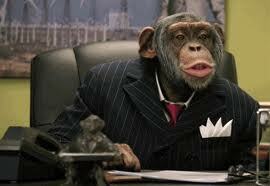 Teeter was just ending a meeting with assistant Lacrosse Coach Kay Morissette and welcomed us into the office. Scott conducts his interviews at a table next to the south-view window and we chatted about the Denver game and the wild, snowy conditions during the first half of that contest. 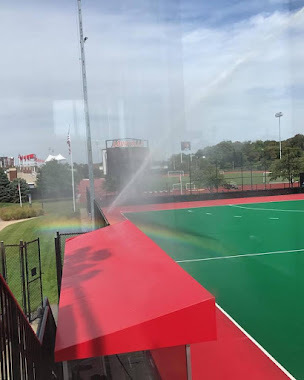 Scott showed me and Nick parts of the video feed from it before we sat down to talk Lacrosse and it was truly amazing to watch how the conditions rapidly deteriorated during the first half and just as quickly disappeared by the end of the match. After our chat, I headed back to my car to head northbound and meet with Holly Aprile in her office at the SAC Building across from Ulmer Stadium. 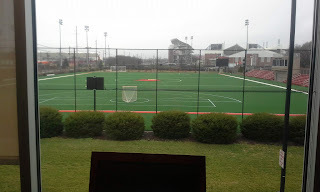 I could hear Sam Purcell in the offices somewhere as I left and as I looked out the windows to my left, I could see several UofL WBB players warming up for their Wednesday practice. 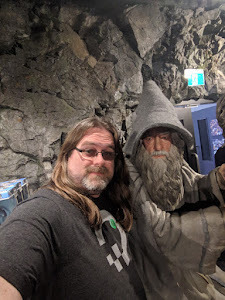 I stopped by for a quick chat with Nick on the first floor S.I.D. room to assure him all went well, tell few "war stories" and wish him and the team luck on Thursday against Virginia. Nick is a busy guy these days with his dual responsibility of being the S.I.D. for lacrosse and women's hoops. 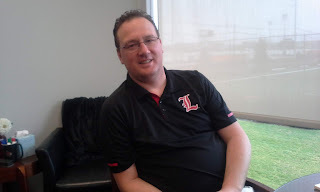 During our interview, he opted to go check out the Louisville Lacrosse press box to make sure all was well for the opener. We appreciate him arranging the "meet" and thanks to Coach T for taking time out of his busy day to talk a little Lacrosse with us! It's a short drive northward on Floyd Street from the Lacrosse office to the SAC building where Softball and several other sports have their coaches' offices. Normally, I'd use the parking garage that is just south of the SAC, but I opted for the "pay/meter" parking spots located where you drive into the SAC/Starbucks area. A few quarters later, I was in the SAC, up the escalator and headed to the second floor offices. 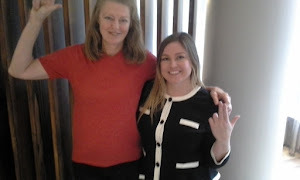 As I got off the escalator, I saw Softball SID Lori Korte emerge from the small room where students and staffers can hang out adjacent to the offices. We walked into the offices together, said "Hi" to program assistant Elaine Jones at the front desk and walked down the hall to Softball. 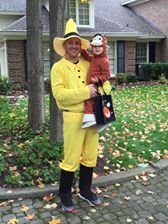 Coach Aprile was there, prepared and ready to talk some softball. 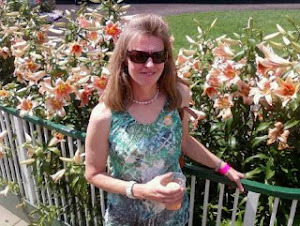 Like Teeter, she usually doesn't have a set of notes in front of her, we just "free form" the interviews in a question and answer format. 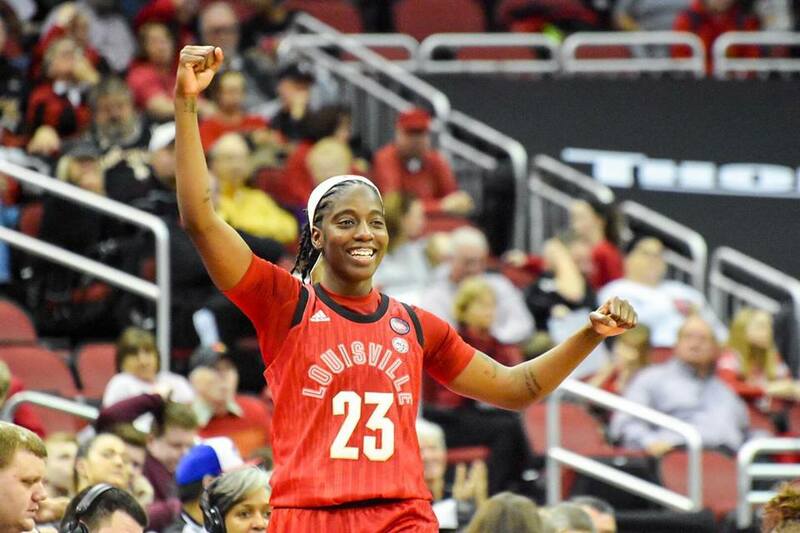 I try not to make the questions too difficult nor controversial, after all, we are discussing the joy and excitement of Louisville women's athletics. 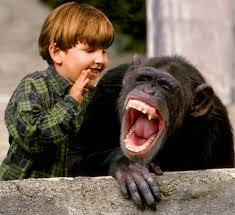 Lori likes to "sit in" on the interviews, which is always welcome, so I playfully admonished her to "be a good little girl and sit quietly at the table". 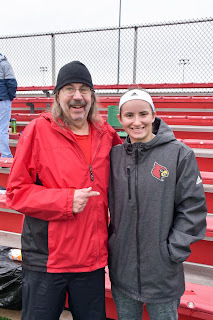 I've known Lori a long time, since the start of Cardinal Couple, and she's always been quite accommodating and friendly when I request interviews with her sports Field Hockey and Softball. Holly and I do our interviews at the oblong table near the door. Her window isn't as scenic type of view as Scott's...it offers a eastern view of a roof of the first floor of the SAC but you can see the top of Ulmer Stadium in the distance. 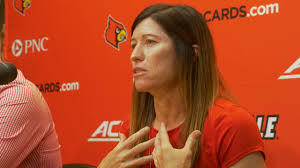 In my interviews with Coach Holly since she arrived on campus, I've found her comments are a bit of personal philosophy and a bit of strategy, which is refreshing and truly embodies our quest to bring you something else beside the stats, numbers and records. We try to go "beyond the numbers" and Holly is quite good at it. With my "chats" finished, I said my "goodbyes" to coach, Lori and Elaine and hustled back to the car, wondering if the meter had run out. I was good, and, as I prepared to leave...I saw Athletic Director Vince Tyra leaving the SAC and headed to the Floyd Street sidewalk. He was on his cell phone, so I didn't shout out a greeting. After making a quick call to Sonya to discuss lunch plans and I was back out on the streets and headed home. 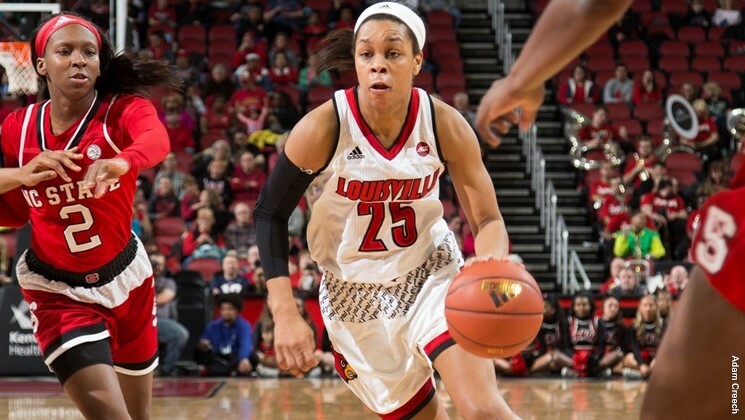 Tonight the Cards WBB squad attempts to start a new win streak. 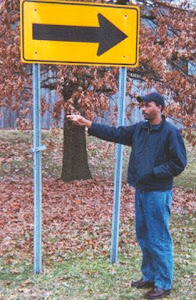 The quest starts on the UVA campus against a Virginia team that Louisville demolished five weeks ago 91-43 in the YUM! Center. The Cavs have gone 3-4 since the drowning "by the river" and now basically is in a battle to avoid playing on the first day of the ACC Tournament (Wednesday) as a #10 seed or worse. They are currently alone in tenth place. 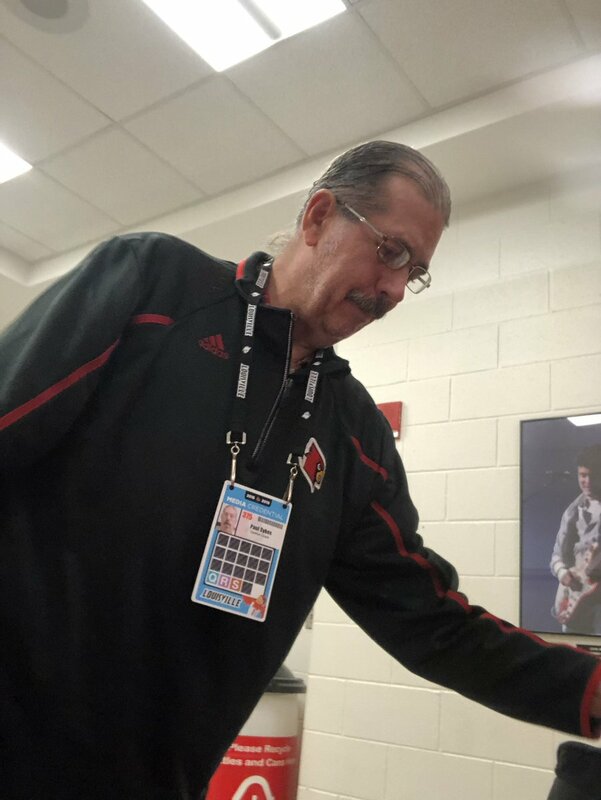 The Cards go into the 7 p.m. start with a 8-2 lifetime record against the Cavs and last loss to them in the 2014-14 season, the Cards' first year in the ACC. 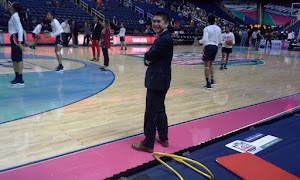 The "Hoos" have switched to more of a four guard format since the Louisville loss and 6'9" center Felicia Ayeotan hasn't stepped on the court (injury) since that 48-point defeat. First year coach Tina Thompson relies on Jocelyn Willoughby, Mone Jones and Dominique Toussaint for the majority of the offense and Willoughby had a double-double in the Cavs last outing, a 70-53 loss at UNC. 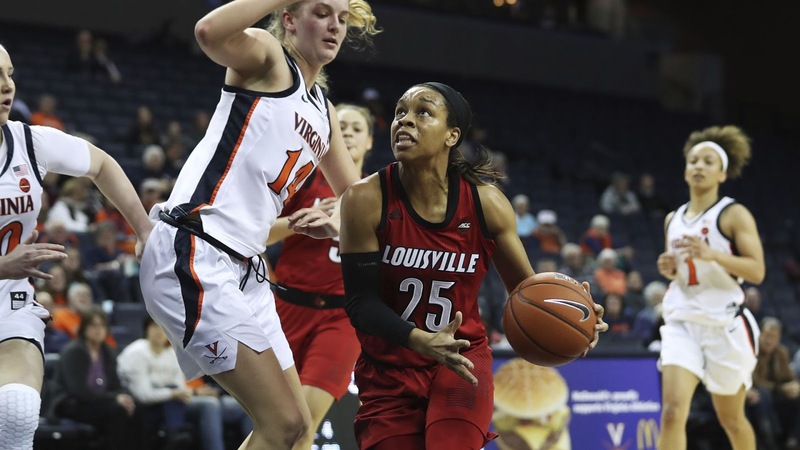 "It's a new day, find a new way" is the word around the Cardinal WBB program these days and reports are that practices on Tuesday and Wednesday were spirited and went well as the Cards prepared for the UVA squad. Following the game plan, execution and limiting the mistakes would be the things I'd put on the whiteboard in the Cards facility and bouncing back from the loss to Miami the prime objective. It's the ACC, and nothing is guaranteed, but it's hard to see any other type of outcome than a Cardinal crunching over the Cavaliers. 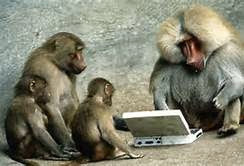 The ACCNE has the internet feed, Nick and A.J. 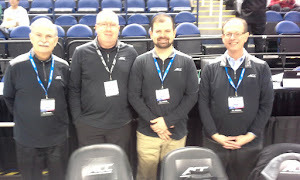 provide the 790 Cards Radio WKRD call and a "better than average" crew of Joe Vaszily, Maj Forsberg and Marc Merritt will carry the whistles up and down John Paul Jones Arena's floor. 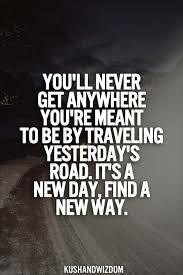 Have a terrific Thursday and GO CARDS!